When I needed a general contractor, a friend recommended Sandy Scotland at Integral Custom Carpentry wisely warning me that although he was often in high demand, he was worth waiting for. And, while I found his estimate reasonable, I hired him because of his knowledgeable, logical, and honest approach to a very problematic job. I had plans for a complex 3-layer crown molding. But previously, when I had the walls removed between my living room, dining room, and downstairs hallway, I was left with two huge defects in the ceiling and another on one of the walls. This put Sandy in the difficult position of having to overcome the previous poor workmanship, and find a way to make it look beautiful anyway. But, fortunately, Sandy is a contractor with the right attitude. He’s smart, honest, likable, and unlike so many, he’s extremely calm. He studied the defects and gave me the bottom line — he told me the truth about what he could and could not do. He wanted to be clear that there was no way to make these defects completely disappear. Instead, he described his plan which would minimize two of them; the remaining one, however, had an insurmountable flaw, and he took pains to make clear that while he could make a few minor adjustments, I needed to be realistic — at best the result would be a limited improvement. He used several creative approaches to hide one of the ceiling defects; although the ceiling was nearly an inch higher in a crucial spot, I’d say he managed to conceal it by 98% — you really can’t see it! He had a different approach to deal with the grossly uneven wall and in that case, I’d give it a 95%. But, as he explained at our initial meeting, one of the ceiling defects was especially problematic and he gave me no false hope — in the end, I’d give it a 65%, which is actually much better than I had expected. To be clear, I had others tell me how they would approach this defect and I am confident that without taking down and lowering the ceiling to make it level, there is no one who could have done it better. Despite that one imperfect spot, the crown molding is totally spectacular and it thrills me every time I walk into the room. (See photos.) I also wanted Sandy to deal with the crown molding in my family room. 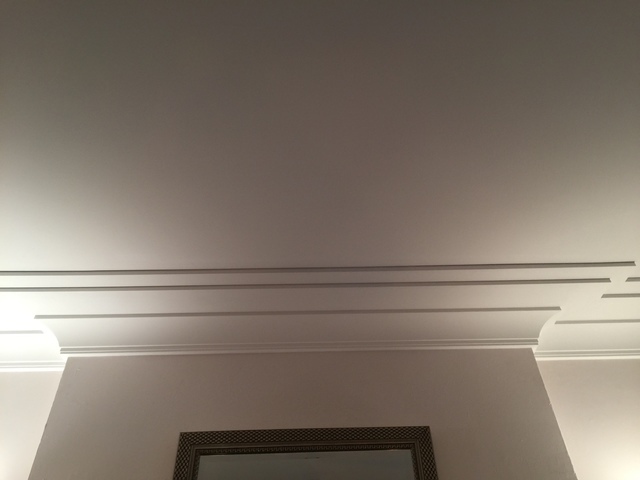 About 12 years earlier, I had made the mistake of choosing crown molding that once installed, looked too skimpy. Again Sandy did a beautiful job using a creative approach. 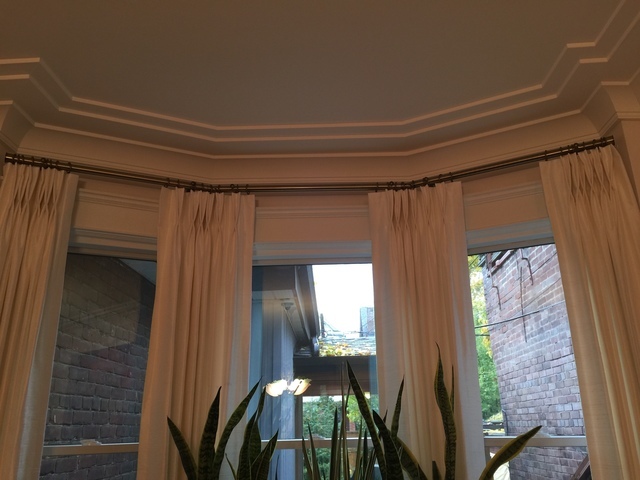 He was actually able to make the molding look much more generous without removing any of the original molding. And, although there was a hitch in this job (my fault for failing to remember an earlier attempt to improve the molding, but not worth describing here), Sandy ended up staying till 10:00 pm to finish the job. Again, the result is even better than I had expected. Sandy was punctual, respectful of my property, took pride in his work, and was a pleasure to have around. I’d hire him again in a heartbeat. After getting an estimate and complications finally getting an appointment time, they begged off explaining the weather had been a problem. So we made another appointment time for today, I have now waited for 5 hours and still no show. OK, I can understand people running late, but why not at least a phone call? During a major basement renovation, I changed to a new boiler system. Later I learned that my contractor should have put in a drain but by then, with all the work finished, it was too late; it would mean tearing up all the ceramic tile floors as well as the in-floor heating. The only advice I got from various plumbers was to put large buckets under the three spots that were most likely to leak and to constantly check. 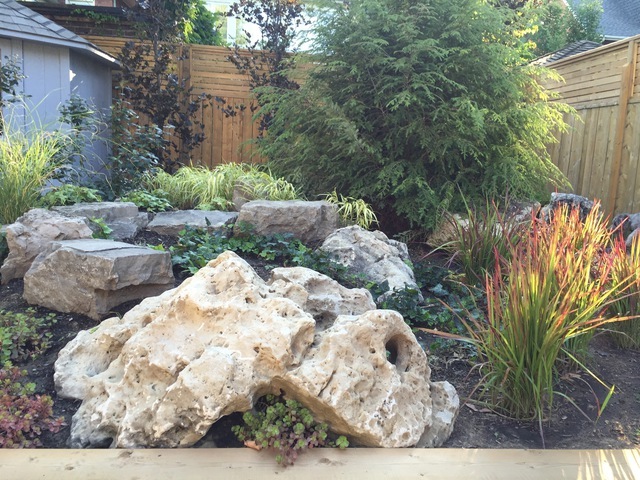 When I started reading homestars.com reviews, I finally got lucky — I found Award Plus Plumbing. As others have already noted, Alex doesn't waste any time. He came right away and thankfully, he was able to recommend a permanent solution that did not cause damage to my recent renovation. If you need a plumber, and especially if you have a complicated plumbing problem, Alex is your man; he’s honest, professional, prompt, courteous, likable, smart, and extremely capable. I am very grateful for his creative solution to our dilemma and recommend him with no hesitation. Thank you Gail for the great review, we are working hard to keep our customer happy providing an excellent service at a reasonable price. By the time we met Muhammad, we had already attempted to remove our small bedbug infestation three times. The first two involved a company who used poison sprays and “bombs” leaving chemicals on every surface and every single item in our home. It took weeks to clean it all up. The third attempt was my son’s who, after much research, decided on a somewhat less toxic approach using products from home depot. But, a few months later, I had bites on my arm and I was frantic. Again, I went to Homestars.com but this time I continued my search until I found someone with spectacular reviews as well as a non-poisonous approach and found Muhammad’s Pest Solution Services. Although costly, after what we’d already been through, we decided it was worth it. Many reviews already describe how outstandingly knowledgeable Muhammad is. But, equally impressive is how honest he is. Anyone with a grain of sense could see that we were convinced that we still had bedbugs, and that we were desperate. But rather than take advantage, Muhammad carefully inspected our house and his diagnosis was that we had gotten rid of the bugs! What we thought were bedbug bites were something else. About 5 weeks later, my son’s girlfriend had a few bites and again, we concluded that they were from bedbugs. My son took photos and we called Muhammad. He came by and checked the house again. Diagnosis – carpet beetles. (No charge) We just needed to vacuum everyday for a week. A few days later I remembered that I’d seen a few tiny holes in some of my t-shirts and figured they were moths. I photographed them, sent the photos by text to Muhammad who agreed. And rather than send me off to get moth balls, he came by a third time to give me a less offensive type of cure. (Again, no charge.) Bedbugs are disgusting and having them is a bigger deal that I ever imagined. Along with Muhammad’s knowledge and honesty, he understands how upsetting the problem is and handles it with sensitively. As others have mentioned, his plain white immaculate truck does not advertise to the neighbors that you have bugs and he is always respectful of your feelings and your property. If you are hunting for a solution to bedbugs, don’t waste your time and money on any of these places that fill your home with poison. We recommend Muhammad without reservation and would hire him again in a heartbeat. It is great to know you are happy with our services. We make sure our clients are treated in a respectful manner. We are ethical and professional, and glad you think so too. It makes us very happy to know your problem is solved and that you would use our services again. Don't hesitate to contact us again. Ready to help anytime. I'm in the midst of a four year renovation which started with digging out my basement and continues through the 1st, 2nd and 3rd floor of a 100 year old house. The original contractor introduced me to Eric and Gord from GEM Electric, and although I no longer use the contractor, they have become my permanent electricians. Although it's true that they're very busy and can't always come in a moment's notice, they will if it's an emergency. Otherwise, you may have to wait. BUT, Eric, and his partner Gord, are worth the wait. I am a customer who pays attention to detail yet they always manages to do what I want despite the many complications that come with such an old home. Also of note; unlike many electricians, they have very high standards and are especially safety conscious. 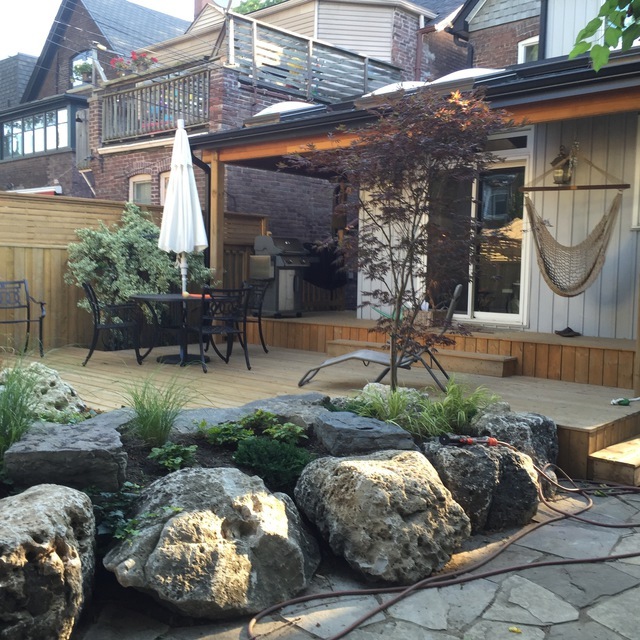 In short, GEM electric does a top notch job every time and both Eric and Gord are a pleasure to work with. I will continue to use them and recommend them with high praise. After my new puppy tore up my luscious but overgrown back yard, I hired Mike from Personal Gardens to help. 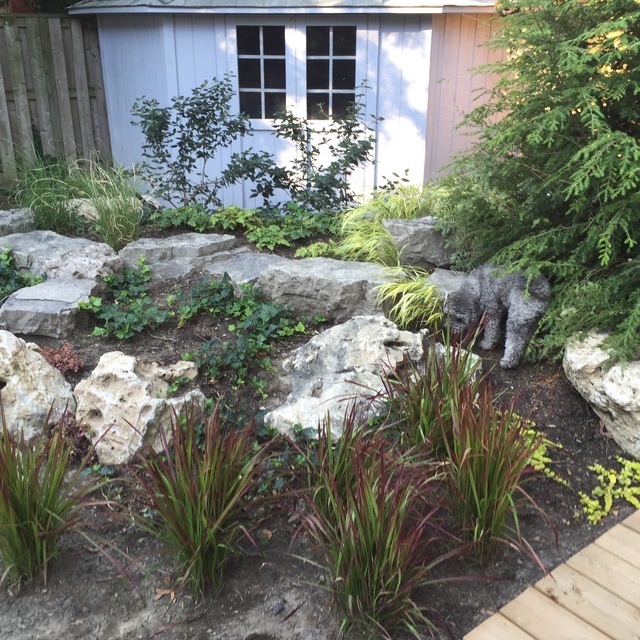 Not only did I want an extra-ordinary design, but I needed one that might discourage my puppy from ruining the new garden too. I would have been happy to just let Mike use his own aesthetic sense and create what he thought would be beautiful, but instead he continually asked questions about my preferences. 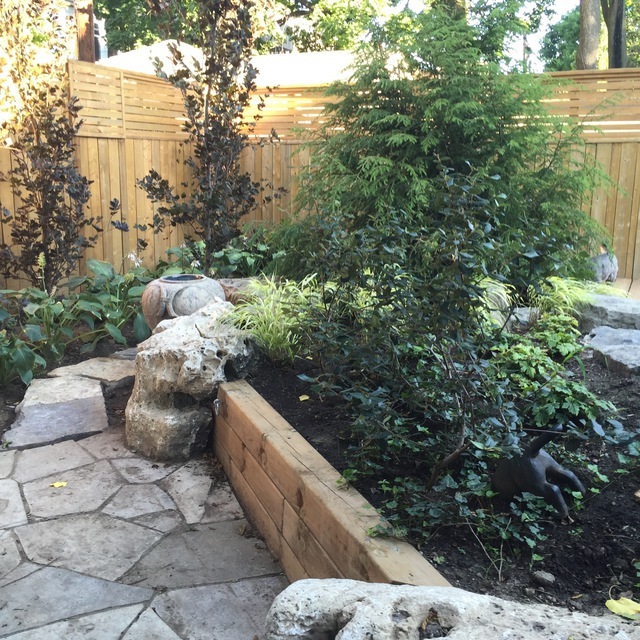 In the end, he transformed my back yard into a truly personal garden. Now, when we go into the garden, it feels like we’ve taken a little vacation and are in a totally gorgeous and fascinating environment. We just love it. 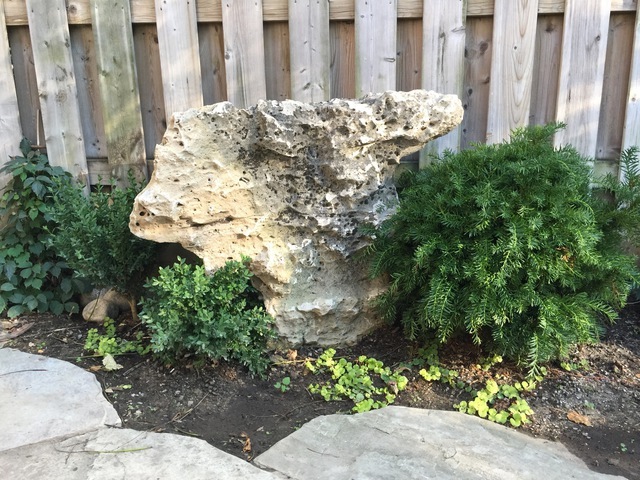 The photos I’m including were taken when the plants were new and not yet in full glory, but they will give you an idea of how unique my personal garden is. About Mike: He is a true artist. He can take a pile of rocks, or even just two large rocks, and in only a few minutes find a way to configure them so that they are like an intriguing sculpture. He took a piece of large pottery I already had and placed it perfectly turning it into a birdbath. He is also an excellent businessman — he promptly returns calls and emails, arrives on time, meets deadlines, makes jokes, and sticks to the budget. And let’s not forget about the backyard neighbors! Mike made a point of contacting each of my neighbors letting them know what our plan was and getting permission to go ahead if it might affect them in any way. Neighbors on both sides were lovely and happily agreed to the changes including a new fence on one side and a repair to the fence on the other side. But, the neighbors behind me were a nightmare. Mike, however, remained patient throughout the ordeal politely dealing with them through multiple frustrating meetings, long emails filled with false and rude accusations, and unreasonable requests. Thankfully, despite them, in the end we were able to build the garden exactly as we had planned. Over the past four years, I have renovated my entire house from the basement to the third floor. Like many renovations, much of it was a horror show including several instances of bad workmanship causing structural damage to my house, two examples of being ripped off for thousands of dollars, and at least two specialists who were a misery to deal with (one literally had tantrums and the other had an alcohol problem.) Although the work was eventually accomplished, when I look at it now, the bad memories often surface. Personal Gardens, however, has left me feeling thrilled every time I look at my gorgeous new deck, fences, and garden; not only do I appreciate it’s unique beauty, but I have wonderful memories of the whole process because Mike and his crew were all lovely people who knew exactly how to do their jobs, were a pleasure to have around, and all were happy to play with my crazy puppy. Personal Gardens is a class act and I highly recommend them. I've used Hoerner Heating and Plumbing for many years and always felt they did good work at a reasonable fee.. They now offer a Plumbing Membership program in which you pay a modest fee, and for the next five years, they will come and check all plumbing in the home to confirm that all is well. My basement is newly renovated and when Kyle come for the plumbing check-up, he found that my sump pump was never set up properly and showed me exactly why. Kyle then reconfigured the set up to allow the sump pump to work properly. I also have a sump pump back up and Kyle found that the battery only worked sporadically. Rather than charge me, he told me precisely what to buy and where to buy it. My experiences with Hoerner employees has always been positive — These are good people who are willing to help you solve your plumbing and heating problems rather than take you for every dime possible like so many other companies. I highly recommend them. Thank you so much for taking the time to provide this detailed feedback. We at Hoerner are so excited to receive such lovely and detailed feedback. The positive feedback gives the technicians such a great boost. As a company we are striving all the time to meet our 6 pledges(see on hoerner.ca). Customer service both in the office and in the field (peoples homes) is so important to our company. Thanks so much for your ongoing loyalty. My previous contractor made a critical error; rather than call in a structural engineer when needed, he followed his own instincts putting the integrity of the staircases in my 3 story house at risk. When it became apparent that the stairs/landings had become significantly out-of-level, I went to homestars.com for help. I found that Mr. K H Davis, a structural engineer who specialized in old homes like mine, had the best ratings and reviews, and booked an onsite consultation. It was apparent from the start that Ken was an expert. Following a long and informative onsite visit, he provided a very detailed and helpful report including his recommendation to give it some time to see if it stabilized or got worse. When the stairs/landings continued to shift, I contacted Ken again hoping to hire his company to fix it. Ken took the time to further analyze the problem and explain exactly what was needed to stabilize the structure, but then suggested I find someone else because their schedule was full and they wouldn't be able to get to it for months. So, I got other estimates to put in a “cranked beam” and build two new staircases. When the new contractor repeatedly failed to show up, I called Ken again, almost begged him to do the work, and he finally agreed. Although H K Davis is by no means a bargain operation, his quote for the work was about two thirds of what the other guy wanted to charge. Ken then had an idea that would save me even more money. Rather than build two new staircases, he suggested trying to rebuild the old ones using the original stairs as much as possible because they were oak with a lovely patina. It was, as he put it, “a labor of love.” While I was prepared to pay between $25,000 - $30,000 for the cranked beam and new staircases, in the end it cost only $17,000. Unfortunately, while my project was underway, Ken injured his back and was temporarily incapacitated. Yet, things proceeded nicely throughout the project because Ken appears to have the talent for hiring excellent staff. I’d like to take a moment here to mention that project manager Luis was amazing. He was on site daily making sure that I was happy with each detail — and there were many details! While’s he’s clearly very knowledgeable and professional, his full commitment to the project was apparent from the start. In fact, on at least two occasions I text messaged him on a weekend night and he answered both texts that same night. He wanted to take care of whatever I was concerned about so that I wouldn’t worry about it over the weekend. I think that’s pretty rare. There were, however, a few times when I wanted Ken onsite to help work through a particularly complicated problem. He never failed to show up, and,despite his obvious back pain, Ken maintained full focus while finding creative solutions to some of the more quirky problems. My stairs are now level, safe, and look beautiful. I also find it a comfort knowing that this structural issue has been properly corrected, and enthusiastically recommend K H Davis Engineering Consultants Ltd without reservation. Although Piotr is a capable contractor, I have learned the hard way that he is not to be trusted or recommended. 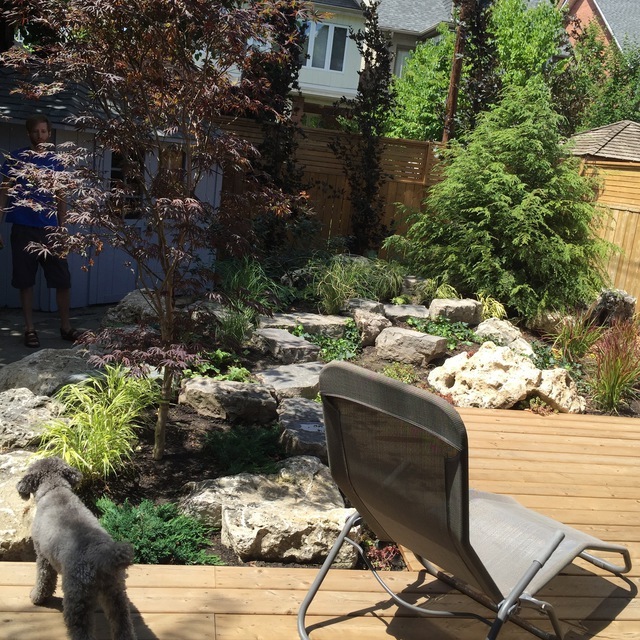 Initially, I hired Piotr to build a new deck. Without first checking with me, he made some extremely undesirable changes from the original deck, but I felt that the actual work was good enough to have him to do some additional work. For example, in the stonework pathway to my front door, two stones were too low potentially causing someone to trip. Piotr needed to lift the two stones out from amongst the others, add sand to raise the height, and put the same two stones back in place. He said the job would cost $800. I naively assumed that the job must be fairly difficult and time consuming and agreed. But I watched him do it from beginning to end; it took less than two hours. That means that Piotr was charging $400 an hour. After several other extremely expensive jobs, I eventually decided that, although it was inconvenient, I really needed to get another estimate for comparison. First, I provided detailed professional drawings and asked Piotr what he would charge to put in a small metal support beam in the basement, under the staircase. His estimate was $8,000. In the meantime, I contacted a company from Homestars.com with a 9.7 rating and they agreed to do it for $4000. Not only does Piotr overcharge for each job, he also fails to show up on the agreed upon day. If (and this is a big “if)” he calls to let you know that he’s not coming, he claims that he doesn’t want to make up excuses — that he needs to work on another job. But eventually, when it literally happens far more often than not, his fabricated excuses become obvious (I’m not feeling well, it’s going to rain, my truck broke, my assistant quit, my truck broke again, I have a doctors appointment, my wife has a doctor’s appointment etc.) Or, if he does show up, after about a half hour, he says he needs to go to Home Depot and is gone for hours (obviously has gone to another job where they are also frustrated with his failure to show up on the appointed day.) He is like a man dating 3 different women at the same time, juggling each with promises, and deceptive excuses. On one occasion, he showed up at 3:00pm on a day when he wasn’t scheduled to come at all. But because I had a doctor’s appointment at 3:30, I kept explaining that I had to leave, while he insisted I stay and make some renovation decisions. He was angry with me for not being available when he showed up unexpectedly and kept me long enough that I was late for my appointment. If for some reason you do decide to hire Piotr, I recommend holding back several thousand dollars to avoid having him make promises that he does not keep. I am left with a china cabinet that he built which is still missing the hinge he promised to install to keep the door from banging into and chipping a hole into the adjacent wall, four mismatched skylights that he failed to return for four that matched, and a defective, splintering piece of wood on the deck he built that he promised to replace. But in the end, since I didn’t hold back any money, he was free to leave without completing these jobs that I had already paid for. Should you wonder if I am a difficult to please client, please check out my previous six reviews on Homestars.com. I gave all but one a 10 star rating. I was really impressed with and remain grateful to this team of three. It was a large and thoroughly grueling job. Yet each man was consistently upbeat, pleasant, and respectful of my property despite having to work right next to a bee hive in 30+ degree, humid weather. These are the kind of people who, upon seeing something needing doing, simply take care of it - without mentioning it. They did an excellent and professional job, cleaned up, and shockingly - on the few occasions when they were inside my basement, they even remembered to turn off the lights before leaving. I found Pambis Appliance Service on Homestars and initially chose them because of their perfect review record. Guess what — Homestars works. Pambis deserves the outstanding reviews it's been getting, and they can add me to the list. When I called, I spoke with Peter, the senior service technician. He was friendly, yet professional. More importantly, he clearly knew what he was talking about and gave me direct answers as well as a reasonable estimate. 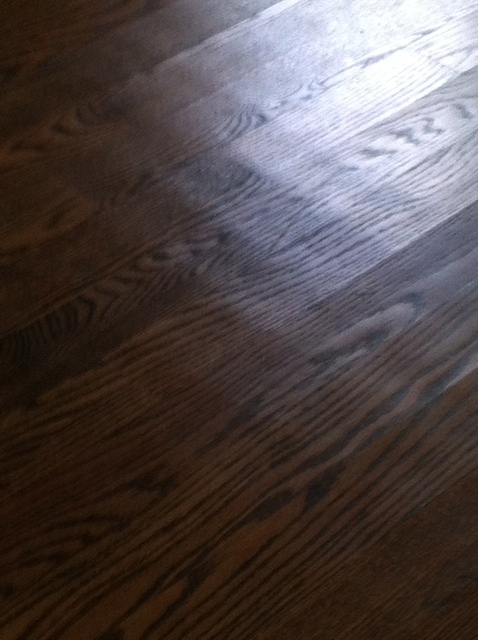 He showed up at the appointment on time, was respectful of my hardwood floors, and did the job. But actually, he did more than the job I initially asked for. My dishwasher had not been installed correctly in the first place and the top rack kept rolling out on its own (very annoying). He leveled the dishwasher and anchored it for a tiny, in fact very tiny, extra fee. I can't think of any way in which he fell short. This is a good company. I am keeping his card and will use him again. Thanks Gail for taking the time to write a review about our services and the kind words. It is very much appreciated. Warmest regards, Peter Pambis. I chose Alo Upholstery because of their consistently perfect 10 score reviews. Initially, I asked Darong to reupholster an antique couch, make a zippered cover for a bay window seat, and approximately 9 pillows of various dimensions . After seeing how beautiful his work was and his incomparable attention to detail, I asked him to reupholster a love seat to match, and 7 dining room chairs. As others have mentioned, the members of this family business take great pride in their work, are a delight to work with, and do not consider a job complete until the customer is totally happy with every aspect. Below are two photographs. One is of the lovely work Darong did on my loveseat. The other shows the subtle detail he provided to the arm of my antique couch. And while the other reviews have already made clear what a rare find this small family business is, I can add two specific examples that will help make the point. 1. About two weeks after Darong delivered the first couch, my puppy peed on it — just a tiny bit. Because the couch is velvet, I panicked and rushed to clean it. Unfortunately, I made a bigger mess than she did. But, Darong came to the rescue; he photographed the couch seat, took a sample of the fabric, and is now consulting with some of his contacts who specialize in fabric. He is also researching a potential approach using steam. If there is an answer out there, I am confident that Darong will find it. 2. After the job was complete, I changed my mind about the size of two of the living room pillows. I asked Darong if he could make the pillows smaller. I sew a bit myself so know that this was not a small request. Again, the pillows are velvet, a very difficult fabric to work with, and have a zipper as well as piping around the edge. His response was a cheerful, “No problem. I'll take care of it.” I recommend Alo Upholstery with great enthusiasm. Hiring this small company allows the customer to relax knowing that the job will be done with great care and impressive artistry. It’s a shame that more companies aren’t more like this one. Thank you for your positive review. We are very pleased to hear that your experience with us was a great one!! 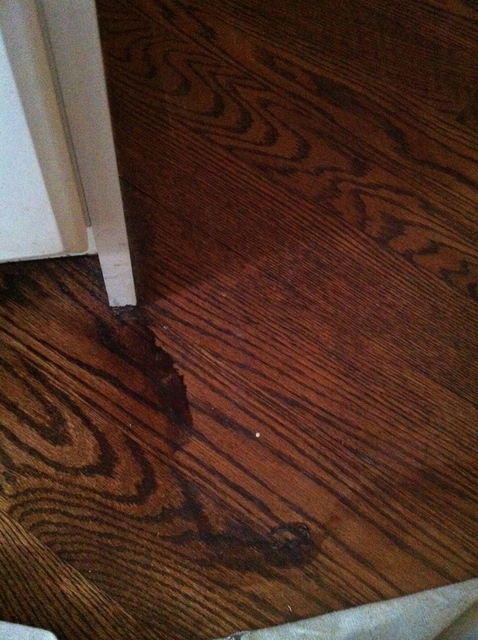 In the past, I’ve had bad luck having my wood floors refinished. Thankfully, I have since found Demetris on Homestars. As so many others have already mentioned, Demetris and his crew arrive on time, do an especially beautiful job, leave the place immaculate, and finish on time. But, more than that—Demetris is a rare soul. Not only is he kind and honest, but he sincerely wants his client to be thrilled with the results, and endeavors to make it happen without causing any stress. How rare is that? Demetris is my knight in shining armor. Although I was initially impressed with Francisco, I now deeply regret hiring Ecowoods. Francisco and I made an agreement that he would sand and stain the floors in my 3 story house. While working on my kitchen, his crew spilled a pool of stain under the fridge, left it, and continued with the urethane. Unfortunately, the pool of stain leaked out into the main part of the kitchen leaving an ugly dark area (see image.) Although the floor had already been coated with urethane, Francisco tried to fix it by re-sanding the area by hand. He admitted that the damage would always show but explained that there was no way to make it better. My feeling was that it was a minor issue, Francisco had done his best to fix it, and everyone makes mistakes. But, the other issue was not minor. To be fair, when the floor in my family room was initially sanded, there were some very, subtle “chatter marks”. (“Chatter” is a term used in the flooring industry to describe ripples or waves in the hard wood caused by a poor sanding job or faulty sanding equipment.) It was my understanding that after Ecowoods re-sanded the floor, these would be eliminated. Instead, the original chatter marks in my family room were made worse and furthermore, they now extend clear across the entire family room and across my kitchen as well. My contractor, my son, and various friends confirm my cause for disappointment—immediately following the job done by Francisco’s crew, the chatter marks were considerably worse and more noticeable (see image.) Yet, when Francisco refused to correct this considerable error, our plans to refinish the rest of the floors were abandoned. It may surprise the reader to know that I believe Ecowoods usually does a reasonably good job, that Francisco is typically polite and prompt, and that he will do all he can to repair the small things that often go wrong in any job (like the spilled stain in my kitchen). However, on the occasions when a significant and costly mistake is made (like chatter), his likable demeanor disappears, he no longer lives up to his reputation, and he does not fix the damage. In fact, in my case, if he had fixed the chatter, I would have written a good review for Francisco. Please check the positive reviews I’ve written for other companies who have worked on my renovation (rated as 10), as well as the exceptional job done by a competitor since my unfortunate experience with Francisco. In fact, while Francisco tries to paint me as a client who is never satisfied, I have been working happily with my original contractor for over a year now, and despite the many people involved in this extensive reno, my experience with Francesco has easily been the worst. Thanks for the feedback, We at Ecowoods strive to do our best for ALL of our clients, as seen in our 70+ positive reviews on Homestars. Unfortunately, there are some times that it become evident that no matter how hard we try and no matter what we do, some clients will NEVER be satisfied. Thanks for the nice review. It was a pleasure working with you and we're looking forward to seeing the finished product. Make sure you e mail us the pics. Cheers.